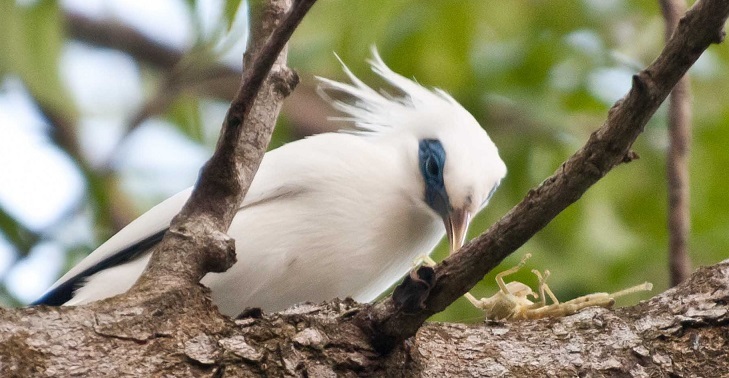 FNPF’s primary wildlife focus on Nusa Penida is protection and rebuilding wild populations of endangered Indonesian birds such as Bali Starling (Bali’s emblem bird),Java Sparrow and Cockatoo. Bali Starling is (or maybe was) listed on the International Union for the Conservation of Nature (IUCN) Red List of Threatened Species. It is one of the rarest living bird’s in the world ! When we arrived to FNPF location in the middle of nowhere I was a bit worried. When I saw our accommodation even more worried. 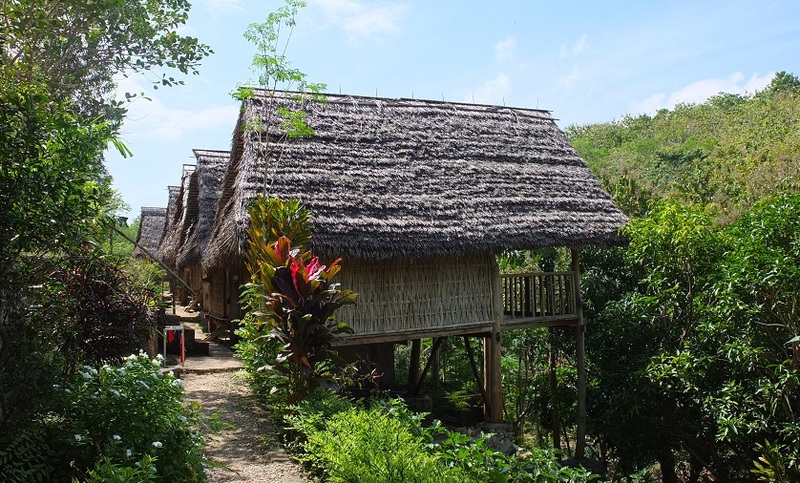 The simple houses ( with the view over the jungle) made of bamboo with holes in the walls and shared toilets/showers outside of our room. I panicked-how are we going to survive here – no shops ( to buy food, water ) mosquitos could come easily to our room and transmit malaria for sure (thanks to internet malaria was my nightmare for couple of last nights). Before going to bed on the fist night I found out that we have a roommate ” hungry bodygard”- who loves mosquitos and other insects. The Gecko become my best friend:) and mosquitos were not a problem at all. 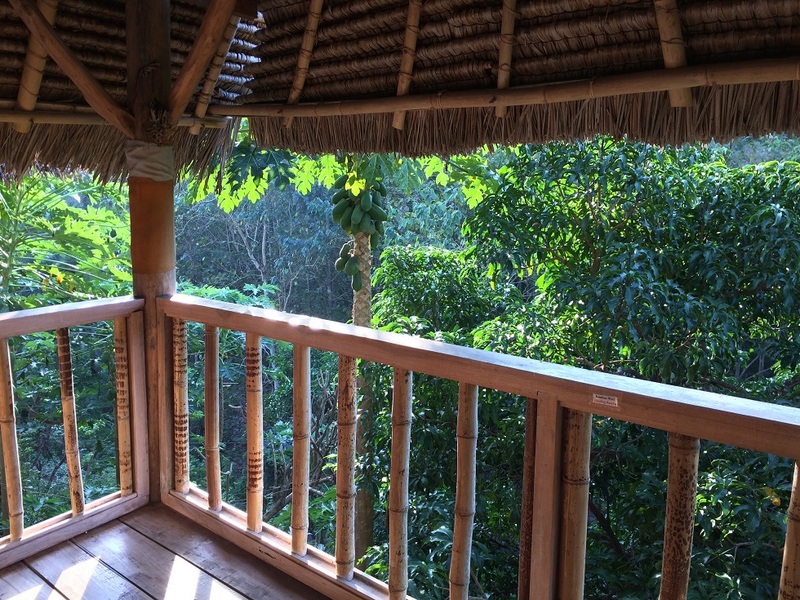 The first morning was one of the most beautiful mornings in my life… the music from jungle was so amazing (!!!) I was speechless. My worries about food also disappear after the first meal at FNPF canteen. The food was tasty, healthy, simple and cheap. Staying in FNPF for a week was great, lovely people, relaxing environment, simple life. 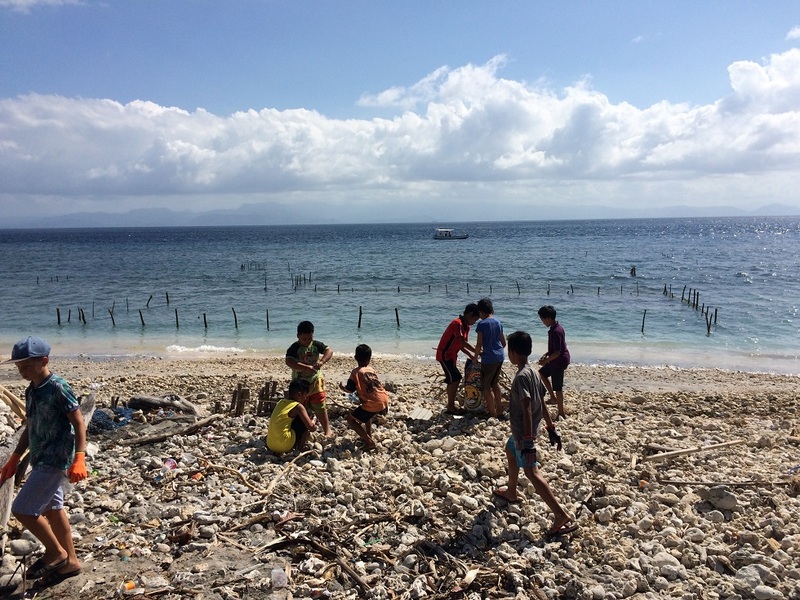 We supported FNPF in volunteer work: disforesting trees, cleaning up beaches and teaching local kids English which was the most rewarding task. Despite language barriers local people were extremely friendly, open, cheerful and happy to meet you and to know you. Looking from the perspective of the parent I believe this is the best way of traveling with kids! Maybe conditions of your accommodation are far from the one in the chain hotels but staying with locals gives you unique opportunity to see/ test/ meet local life aith all its aspects. For kids it is an amazing lesson of tolerance, friendship and brings more to their lives than you can imagine.As a family you spend so much time together – quality time-and you grow stronger!! This article is 90% fluff. How much of your actual day was volunteering? How many of those endangered birds did you actually see? Do you have any idea the money they have coming in and what is spent where? 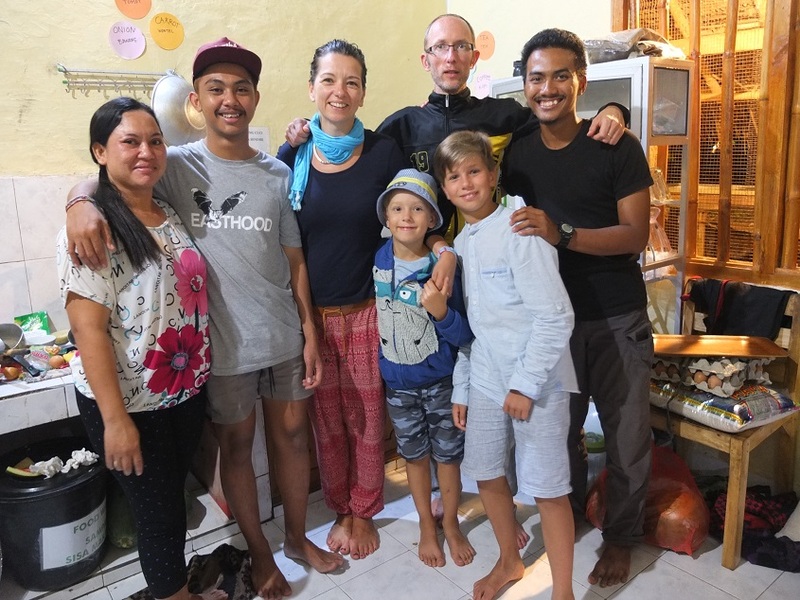 Writing is not my profession and English not my Mother tongue – I wanted to share my experience with others who might choose to visit Indonesia and stay with FNPF. Your comment sounds like typical comment of somebody who does nothing but judge others and disapprove any organization…I recommend you to visit FNPF yourself and then you can find answers to your questions…you might even find your inner-balance and happiness 🙂 Open your mind and soul for people around you! Good Luck!